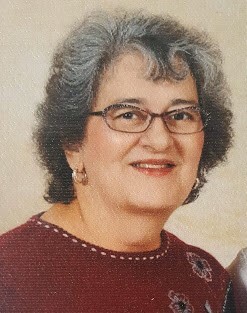 Obituary for Mary Ellen Eshleman | Harold M. Zimmerman And Son Funeral Home Inc.
Mary Ellen Eshleman age 63, of Mercersburg, PA, went home to be with the Lord on Monday, March 18, 2019 at the Chambersburg Hospital. Born September 13, 1955, in Hagerstown, MD, she was the daughter of the late Amos Horst and late Mary Martin Horst. Mrs. Eshleman earned her AS degree in nursing from Manatee College, Sarasota, Florida. She worked as an OB nurse in Fulton County Medical Center and Waynesboro Hospital and as a registered nurse at Summit Primary Care in Mercersburg, PA. She served with her husband, Allen in Guatemala as a missionary. She was member of Pleasant View Mennonite Church, Chambersburg, PA. She enjoyed Reading books, Cross Stitch, loving and holding babies. Surviving is her beloved husband, Allen whom she married on December 29, 1991; son, Josue (Palm Harbor Florida), and daughter, Sarah Eshleman; six brothers, Ephraim, Isaac, Ira, G. Edward, James, and Elmer Horst. In addition to her parents, she was preceded in death by two brothers, Norman and Nelson Horst. The family will receive friends on Friday, March 22, 2019, from 5 – 8 PM at the Mercersburg Mennonite Church, 10060 Buchanan Trl. W., Mercersburg, PA 17236. Interment will be private. A Memorial Service will be held on Monday, March 25, 2019, at 10:30 AM at the above church and address, where Pastor David Possinger will officiate. Arrangements are entrusted to the Harold M. Zimmerman and Son Funeral Home, Inc., Greencastle, PA. In lieu of flowers, memorial contributions may be made in her name to the Eastern Mennonite Missions, 53 West Brandt Blvd., Salunga, PA 17538. Online condolences may be offered at www.zimmermanfh.com.